Elop hints at Nokia tablets, justifies Windows Phone focus and says Nokia is all about standing out! Nokia may finally have brought themselves some success with their latest range of Lumia handsets and continued sales of their budget devices in developing markets, but we're still missing one thing from the Finns and that's a tablet. Understandably Nokia is focused on their handset business because that is the core of the company and this is something we've seen HTC do lately too, because of their falling handset sales. 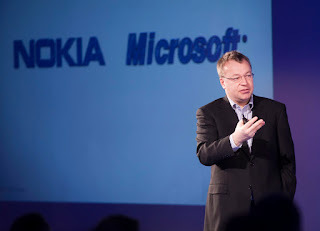 Despite watching from the sidelines at the moment he did say that in the coming months and years that Nokia will look to, 'broaden out the portfolio, which means pushing to lower and lower price points, in some cases smaller form factors and so forth,' so a tablet isn't out of the question yet! 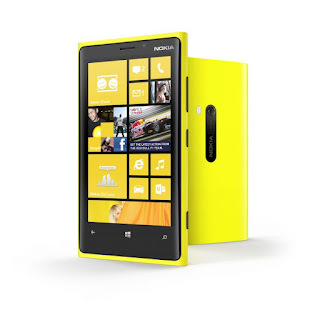 "When you think about the Lumia 920, running on Windows phone, having a Windows tablet or PC or Xbox is something that will give us the opportunity to have a pretty integrated experience. Our first focus on what we look at is clearly in the Microsoft side." This focus ties in very nicely with a story which The Guardian posted today which suggests that there will be a Lumia device arriving this summer with the same beefy 41MP camera which Nokia forced inside their 808 PureView! We'll have to wait and see on that one, but we would be genuinely excited for some Lumia tablets. Nokia typically has stunning design and that combined with a good dose of Windows 8 may well be enough to tempt people who aren't touched by Microsoft's Surface tablets! What would you like to see? More Lumia's or some tablets from Finland's finest? Let us know in the comments below! AFW Via TechCrunch and TheGuardian.